Muse: Muse Challenge #51 - Happy First Anniversary! Muse Challenge #51 - Happy First Anniversary! Vote for your favourite entries from last week here before Tuesday at 8:00 am EST. The first card was made about a year ago and the second card is brand-spankin' new, a digital hybrid, made specially for this anniversary challenge - with a secret, subliminal message in it - do you see it? Is that clever or what?! Jackie - thank you so much for being our first Muse and for joining us on this very special day to help us celebrate! We also have a very exciting DT announcement! Vicki Dutcher has agreed to become a member of Muse's DT - she'll be creating a Muse for us every month. Hi my name is Vicki Dutcher, and I am so excited to be joining the Muse Team! I am looking so forward to seeing how you will be inspired by my cards! I have been stamping for 17 years. I had a neighbor introduce me to SU and developed from there. I love this hobby and I am [totally] addicted. My blog is appropriately named since All I Do Is Stamp. I live in Arizona and have been married for 23 years [were did that time go!]. We have a son in the Navy, who is currently deployed in Japan. Thank you Ardyth for asking me aboard. Thanks, Vicki - we can't wait to see your first Muse on February 3! Use either of the Muse cards as inspiration, explain your interpretation and link back to Muse. Congrats Muse on your first birthday! Don't worry I haven't forgotten you, hope to play along his week! Congrats to you too Vicki, can't wait to see what you do. Congrats on celebrating the one-year birthday! So good to see Vicki joining the DT! Love love the inspiration from this challenge blog! Congrats to Muse on your first birthday! And, congrats to Vicki as the newest DT member! I'm looking forward to seeing what you create for us, Vicki! Jackie's card for this week is so clever...I love it! I love Jackie's new card. It's great inspiration to celebrate Muse's first birthday. Happy Happy Birthday and special thanks to Jackie for coming up for the MUSE challenge, I LOVE it!! I'd also like to Congratulate Vicki on her new role as a Design Team Member -- she's always been one of my favorite crafters! Looks like another FUN week! Thank you ALL!! How exciting! I adore your card Jackie and am especially impressed with the subtle message, also to say hello to Vicki, what a wonderful day! Congratulations to Vicki Dutcher for being the new DT member. I'm sure she'll do a great job. Congrats on your one year anniversary! I love both of Jackie's cards and hope to get a chance to play along this week. Happy 1st anniversary, Muse! What a great first year! 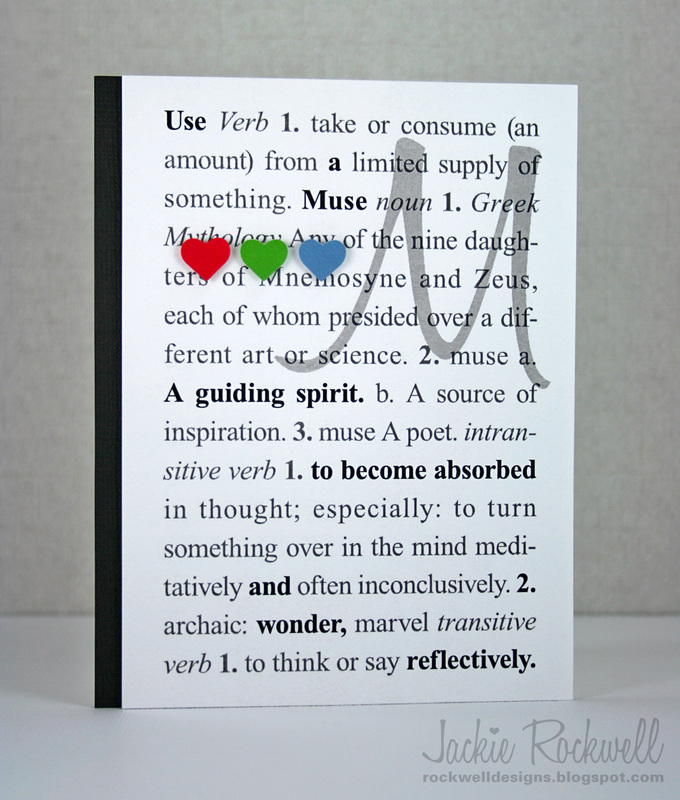 Jackie's inspiration cards are both fabulous! Congrats to Vicki, too, she will be an amazing addition to the DT! Congratulations Vicki :) you are on the roll every where. A year already...that flew by...Happy Anniversary and congrats Vicki- love your creations! wow a year already? I haven't played in nearly enough of these. I better get going. Congratulations I always look forward to the new challenge, and I often vote, even if I don't get a card done myself. So many lovely cards each week. 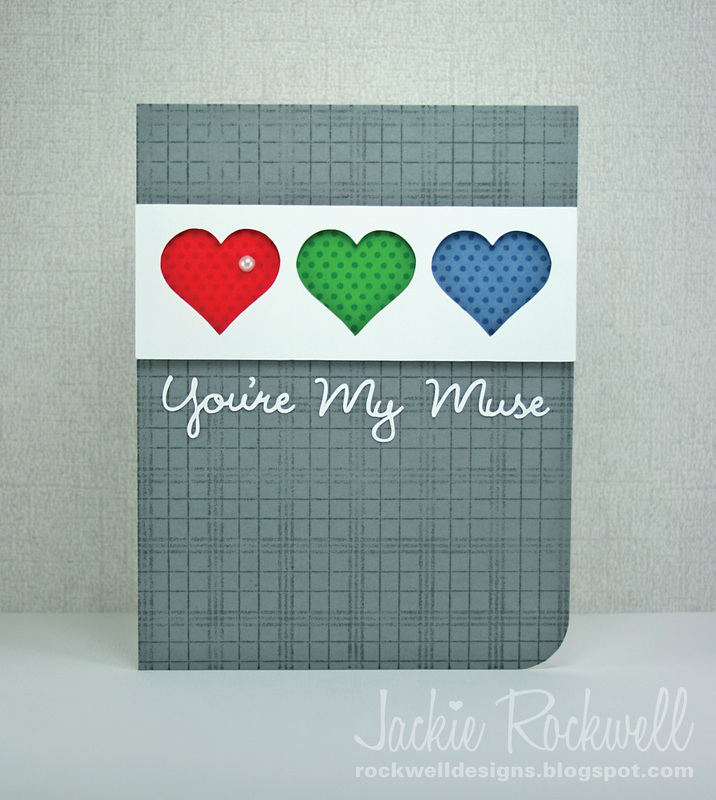 Jackie, love your new card and remember when the first one went up last year, so happy to see you featured this week. Thanks for the chance to join in.